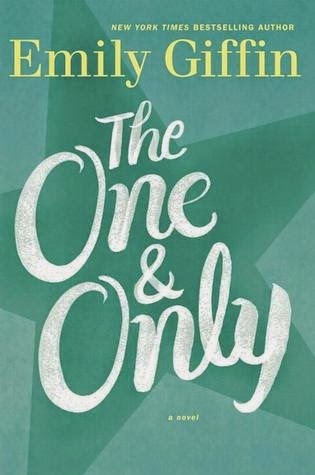 Thoughtful, funny, and brilliantly observed, The One & Only is a luminous novel about finding your passion, following your heart, and, most of all, believing in something bigger than yourself . . . the one and only thing that truly makes life worth living. Shea Rigsby's life has been centered on football, namely college football and specifically Walker University football, since she was in the second grade. Her best friend is the daughter of Walker University's illustrious head coach. Her mother's best friend is the coach's wife. Fortunately Shea has been able to turn her love for Walker football into a career at the athletic department at Walker University. Shea's life isn't great and she isn't doing what she loves, but she does get to focus on her beloved Walker University Broncos and that seems to be enough until her best friend's mother dies. The One & Only begins with a funeral, followed by a breakup (Shea's first breakup in the story), a bit of a crush on Coach Carr -- Walker University's head coach, a brief relationship with the star quarterback of the Dallas Cowboys, another breakup, and an ongoing flirtation between Shea and Coach Carr. Just when it seems like everything is going well, Walker University has an undefeated season, and Shea and Coach Carr are ready to take the next step in their flirtation, disaster strikes. Shea's best friend and Coach Carr's daughter Lucy issues an ultimatum to Shea: choose me or choose my father. It has to be said, I'm not a football person (okay I'm not a sports person at all), so it was little difficult for me to get into this story because of all of the sports references and drama surrounding college football. Once I got past this minor issue (and it is very minor), it wasn't possible to not like this story. Ms. Giffin has a way of pulling you into the story and making the reader feel as if they’re completely invested into the final outcome, good or bad. The One & Only doesn't just put the reader into the total fandom of college football; it also highlights some of the problems with college ball, NCAA regulations, and the plight of the amateur college athlete. Yes there is romance, family drama, more romance, and more family drama, but ultimately The One & Only is about love, friendships, family and a passion for life. What's not to love about that? This is a highly recommended read for the summer (or perhaps you can hold off until football season starts...just not during a game). Disclaimer: I received a copy of this book free for review purposes from BookSparksPR as part of the Summer Reading Challenge. I was not paid, required or otherwise obligated to write a positive review. The opinions I have expressed are my own. I am disclosing this in accordance with the Federal Trade Commission's 16 CFR, Part 255: "Guides Concerning the Use of Endorsements and Testimonials in Advertising."